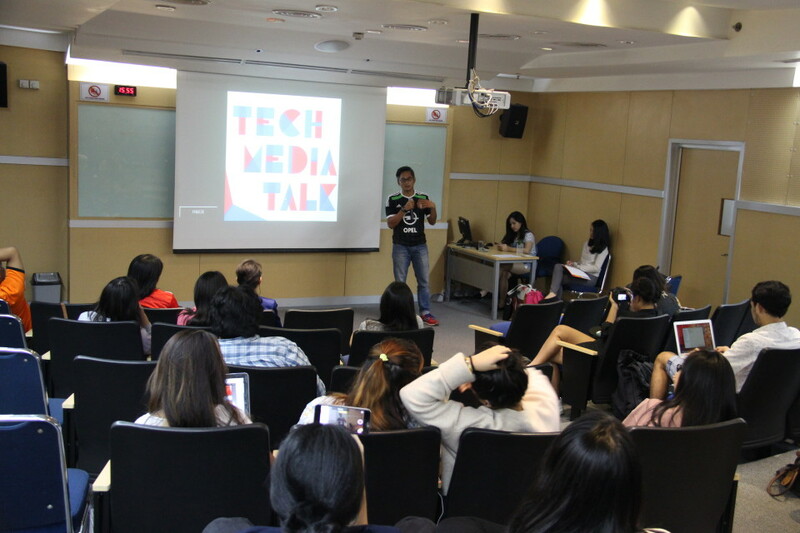 For the 8th time, Tech Media Talk held another event on Tuesday (12/05). 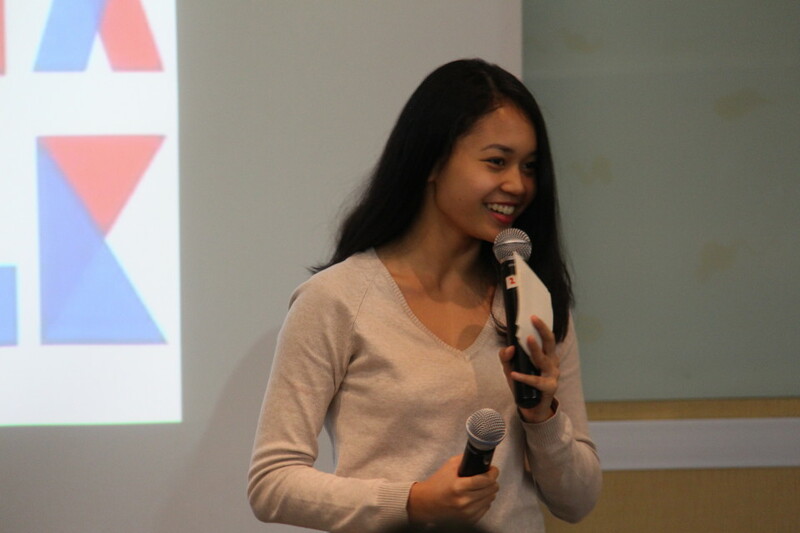 Students of Communication Program of BINUS INTERNATIONAL (BI) created the theme “Ordinary Life, Extraordinary Love” for this talk and invited three inspirational speakers. 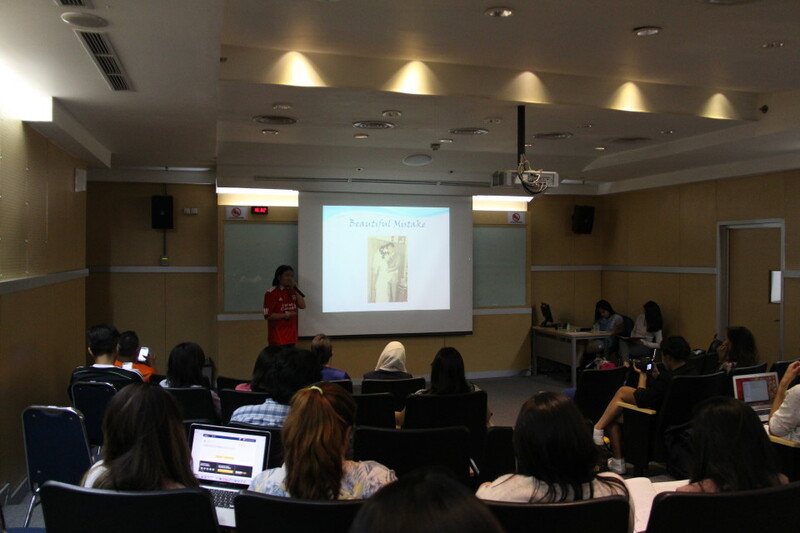 Wearing football jerseys, the three speakers entered the room at 3:30 pm, and that made all the audience – students both as participants and hosts – attracted. They were wondering why the speakers were wearing football jerseys. After the host opened the session and introduced the speakers, the audience started to understand. 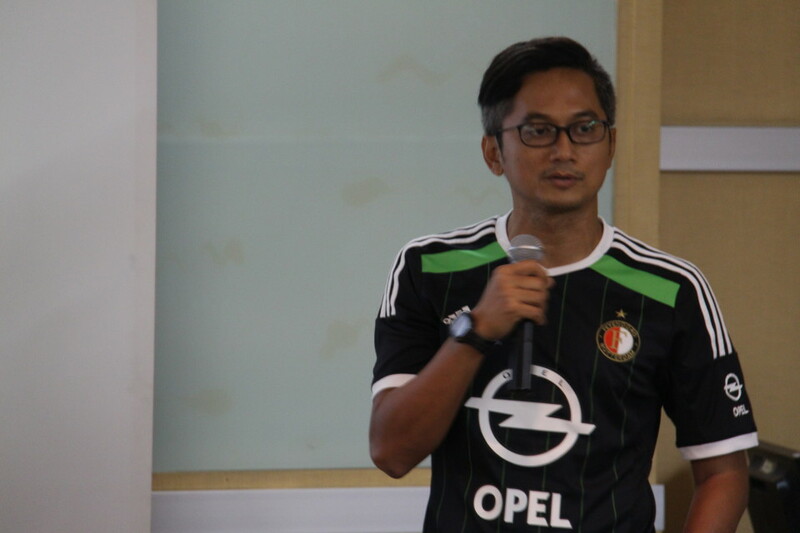 They are Achmad Lanang, the Head of Research and Sports Information Center at BOLA, Kompas-Gramedia; Andibachtiar Yusuf, a filmmaker and the owner of Bogalakon Pictures; and Christiawan Gunawan, the Editor of Bola Vaganza Magazine – BOLA Sports Media. Correct! The three of them are people who work in the business field related to football. 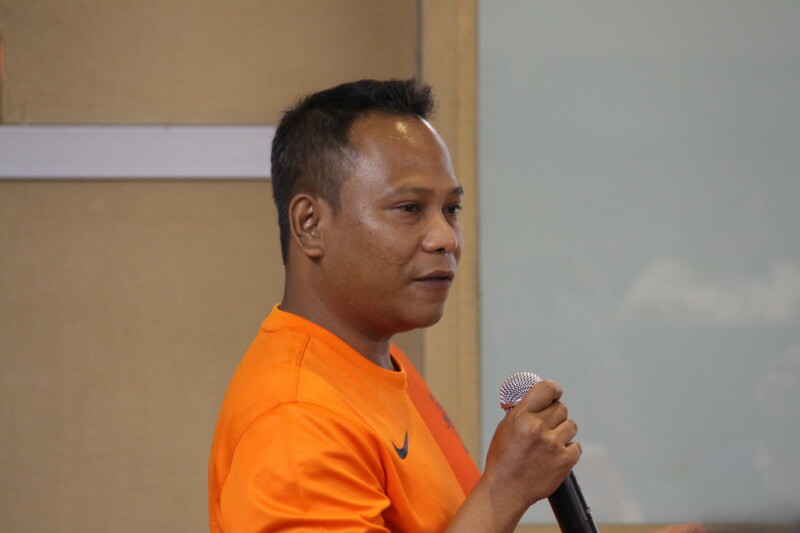 Both Lanang and Christiawan work in sports media which specialized in that sport branch while Andibachtiar is well-known from his works creating football-themed films, such as Garuda 19, Hari Ini Pasti Menang, Romeo-Juliet, and The Conductor. Those trios shared their story of life in turn. First, it was Lanang who told that his decision to be a journalist triggered when he read Bumi Manusia novel written by a great writer Pramoedya Ananta Toer. Continued by Andibachtiar, he feels pleased since he could realize his hobby of watching movies into making them. Lastly, Christian told about his meetings and interviews with international football players which he had never imagined before. They did not only share their journey in life, but they also tried to express their happiness through that journey in finding the true meaning of life. Surprisingly all of them admitted that their present profession is not something that they dreamed of previously, instead it is a decision they made based on their conscience. “I often get bored when doing something, like in college, organizations or office work. 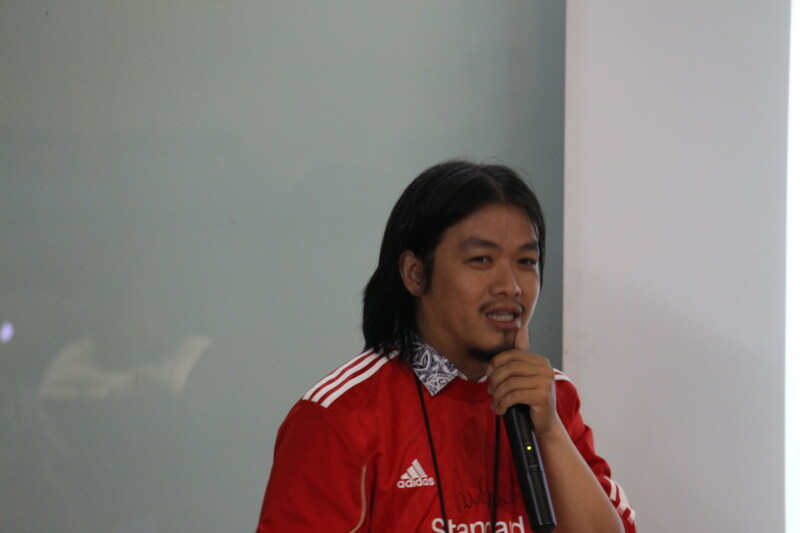 That’s why I had changed several decisions in my life until I chose to be a sport journalist,” said Lanang. That last decision helped Lanang finding joy in work. He got an opportunity to visit other countries, plus watching football matches and interviewing top players in the world that before it could only be seen from TV or printing media. Christian also experienced almost the similar thing to Lanang. Christian took industrial engineering in college and he never imagined being a journalist. However, his love to sports and writing made him fly all over the world to watch international matches and interview football idols. “Love will prevail,” said Christian briefly. The third person, Andibachtiar who is a movie director completed the story. Previously working as a copywriter and journalist, Ucup (his nickname) said that his accomplishments in making movies right now seem like his old dreams come true. In the end of his turn, Ucup said that it was hard when he came into the decision to be a movie director because he had to make some sacrifices. He let go his prior job which actually was a profession that many people hope to be one. But then it was done to achieve success as what his heart said. “Do what you love, love what you do,” answered Ucup to answer the key to his success. All students who came to the talk responded well to what the speakers shared. The students would have more open minds about available professions around them. Their enthusiasm also reflected in many questions they asked to the speakers.